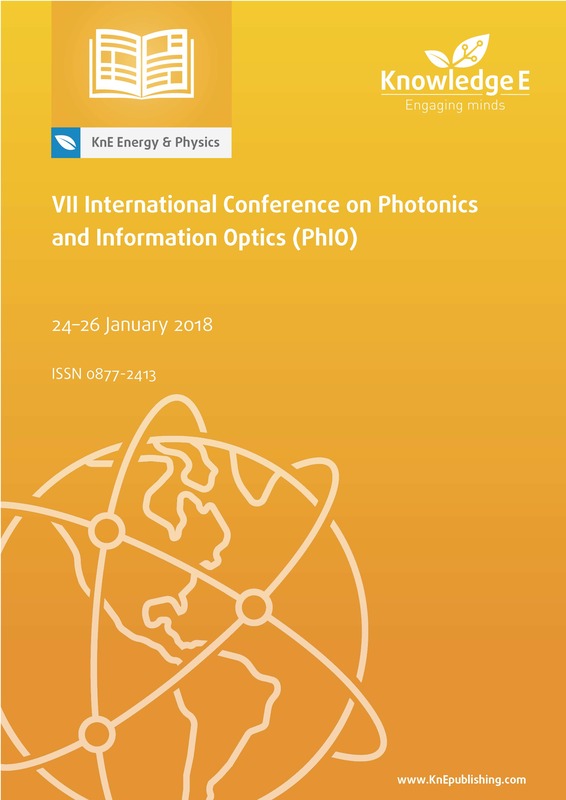 The VII International Conference on Photonics and Information Optics followed the traditions of the previous forums held at the National Research Nuclear University MEPhI (Moscow Engineering Physics Institute)—i.e., the wide range of topics, the broad scope of participants and the involvement of young scientists and students. The Chairmen Committee of the program include the members of Presidium of the Russian Academy of Sciences, the president of Kotelnikov Institute of Radio-engineering and Electronics of the Russian Academy of Sciences, academician Yu. V. Gulyaev and the head of the Laser Physics Department of National Research Nuclear University MEPhI, professor N. N. Evtikhiev. Conference topics: Coherent and nonlinear optics, fiber and integrated optics, optics of crystals and acousto-optics, the interaction of radiation with matter and optical materials, optical measurements and biophotonics, holography and digital optics, optical communication and optoelectronic data processing. Such forums help to improve the level of knowledge and the quality of education of the specialists in this industry. The 2nd International Symposium "Physics, Engineering and Technologies for Biomedicine"
The 2nd International Symposium on “Physics, Engineering and Technologies for Biomedicine” was organized following the successful 1st International Symposium on “Physics, Engineering and Technologies for Biomedicine”, held in Moscow on the occasion of the foundation of the new Institute PhysBio at MEPhI (Russia). The conference was dedicated to the 75th anniversary of the National Research Nuclear University "MEPhI". The Symposium was organized by the Institute of Engineering Physics for Biomedicine (PhysBio) of the National Research Nuclear University MEPhI (Moscow Engineering Physics Institute under the auspices of the Russian Ministry of Science and Education, the Ministry of Health and the State Company Rosatom, and in close collaboration with a non-profit partnership—Kaluga pharmaceutical cluster. Conference topics: The aim of the symposium was to bring together leading scientists and experts in nuclear medicine, biophysics, bio-photonics and emerging fields to present their works, and therefore invited lectures on the topics such as Advanced materials and methods for MRI and PET; Bioimaging technologies and materials; Bio-photonics for diagnosis and therapy; Bioprinting; Brachy-, Proton and Ion therapy methods; Diagnosis methods, today and in the future; Immunotherapy; Isotopes for medical purpose; Medical-biological aspects of radiation effects; Nanomaterials for biomedical applications; Plasma and laser technologies for biomedicine; and Translational medicine. The 3rd International Conference on Particle Physics and Astrophysics (ICPPA-2017) was held in Moscow, Russia, from 2 to 5 October 2017. The conference was organized by the National Research Nuclear University MEPhI. The aim of the conference is to promote contacts between scientists working on experimental and theoretical aspects of nuclear, particle and astroparticle physics and cosmology. This volume includes papers from the sections "Nuclear Physics" and "Relativistic Heavy-ion collisions". The physics of relativistic heavy-ion collisions was covered by the talks from the existing and proposed heavy-ion physics experiments. Recent experimental and theoretical developments in a field of relativistic heavy-ion collisions were discussed. The highlights by main running experiments at RHIC (STAR, PHENIX) and the LHC (ALICE,ATLAS) were complemented by status reports on preparation of the future heavy-ion experiments at FAIR and NICA facilities. 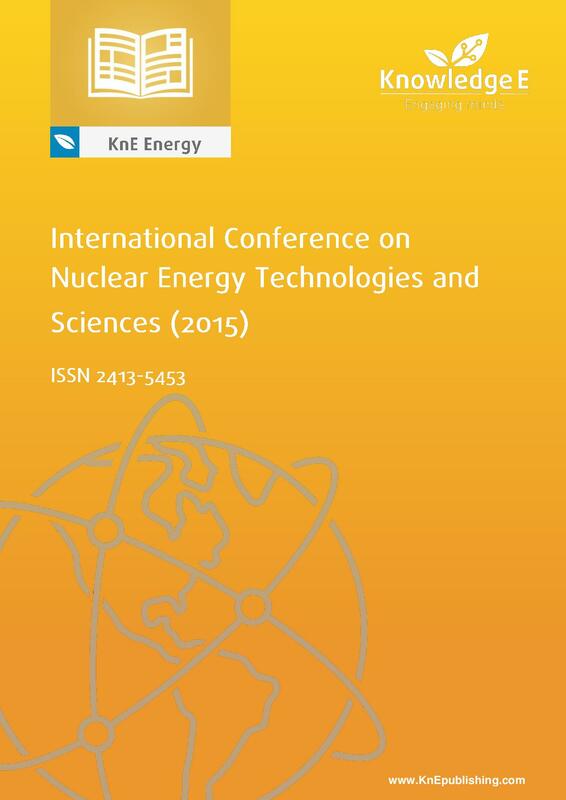 The section "Nuclear Physics" included reports on the main trends of modern researches. Most of the reports belonged to the studies of exotic nuclei and the search for new states, rare decays and processes. Prospects of future studies on modern accelerator complexes were discussed. ICoNETS (2015) will be the first international conference on nuclear energy technologies and sciences in Indonesia to gather multidisciplinary researchers and professionals from around the world to fostering the realization of nuclear power plants in Indonesia. This conference encourages researchers and professionals from universities, research institutions and nuclear related industries to present their latest studies, excellent ideas and thoughts. 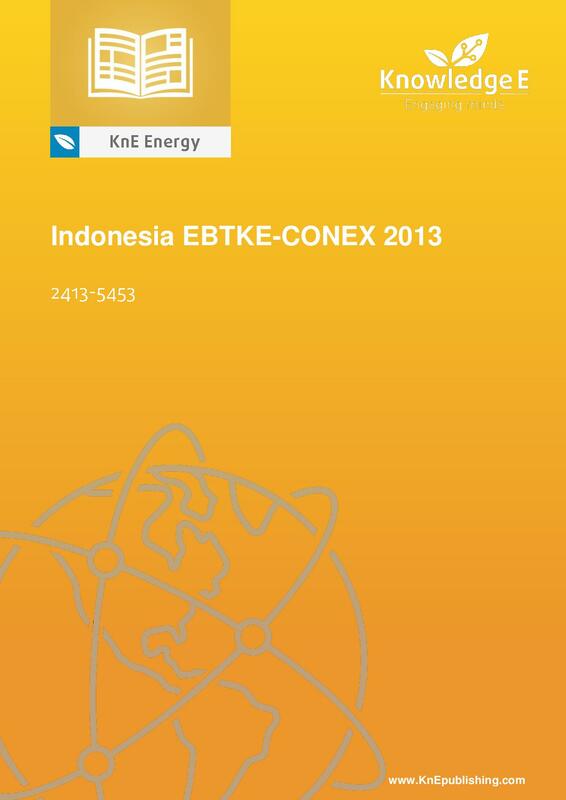 Indonesia EBTKE CONEX 2013 is an annual event organized by the Directorate General of New and Renewable Energy and Energy Conservation (DG - EBTKE), Ministry of Energy and Mineral Resources of the Republic of Indonesia, in cooperation with Indonesian Renewable Energy Society (IRES/METI) and FABA Consultant. The theme of the conference was 'New and Renewable Energy and Energy Conservation: Road to Energy Security and People Welfare'. The conference was officially opened by Dr. Boediono, Vice President of the Republic of Indonesia. This event was attended by nearly 615 people per day. The 3rd Indonesia EBTKE-ConEx 2014 is an annual event organized by the Directorate General of New and Renewable Energy and Energy Conservation (DG-EBTKE), Ministry of Energy and Mineral Resources of the Republic of Indonesia, in cooperation with the Indonesian Renewable Energy Society (IRES) and Quad Event Management. The theme of the conference was 'Time to Deliver Clean Energy for the Nation'. The theme was created to revive the commitment to deliver clean energy, which is new and renewable energy and energy conservation for the nation. It is also relevant to the Indonesian energy security and sustainability roadmap as stated in the national energy policy. Indo EBTKE-ConEx 2014 was officially opened by Dr. Boediono, Vice President of the Republic of Indonesia. This event was attended by a total of 5,010 visitors.